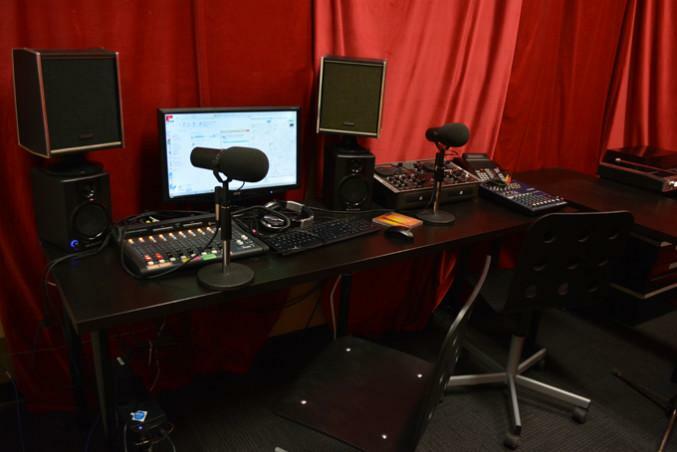 Ryerson’s unofficial radio station, the Scope, is currently operating on grants and fundraising money due to the slow process of licensing their station. Until they have a licence, they cannot recieve allocated money from the 2013 referendum. Apart from the initial funds from the 2011-2012 fiscal year solely meant for core operational purposes including the seeking of a radio licence, the Scope has not been a recipient of any of the money that is provided to campus groups. Jacky Tuinstra Harrison, general manager at the Scope, said she was not expecting any kind of levy payment. “It wasn’t a shock to us. We budgeted for it when we opened the AM campaign last year,” Harrison said. She also mentioned that some of the initial funding had already been spent on the failed attempt to retrieve a radio licence the previous year. Due to licensing problems, theScope operates differently than other student groups since they don’t recieve the same type of funding. In 2011, students voted on and passed a referendum that would provide the station with $10.35 per full-time student as levy money, only to be activated once a radio licence has been acquired. “We’re just in a hurry to get a licence so that it can be activated,” Harrison said. Once licensed, the staion will receive over $300,000 in levy money from over 30,000 undergraduate students. Prior to the Scope, students paid a levy of $10.35 to the operations of CKLN, the former community radio. A referendum was held to decide the fate of available funds once CKLN was shut down. Although some students, such as first-year Scope volunteer, Erica Ngao, expressed dismay at the RSU for the absence of funding, it’s the university that collects levy money from the students. The Ryerson Students’ Union (RSU) has no power over referendum results. “We’re good for core operations,” said Harrison. The station has been successful in acquiring grant money for a documentary on residential schooling, to be released in the spring, but are asking the RSU and other campus groups for extra event money. “In the interim awaiting the licence… the RSU is very supportive of those things. We are providing them with some in-kind support, such as room bookings and promotions,” RSU President, Melissa Palermo, said. According to Palermo, the station has to secure an AM or FM licence before they can receive the funding because it’s what students voted on in the referendum question. If the Scope fails in acquiring the AM licence, they will have to resort to voting in another referendum or operating through grants, fundraising and sponsorships. However, Harrison said she thinks they’re “a little ways off from looking at it like that” and that she is confident that they’re on a steady path.